Have a magical day at Enchanted Kingdom kasama ang buong pamilya o mga kaibigan! Grab Car drivers must present their Grab driver phone app and Driver’s License. A strict NO DRIVER PHONE APP, NO DISCOUNT policy shall be applied. 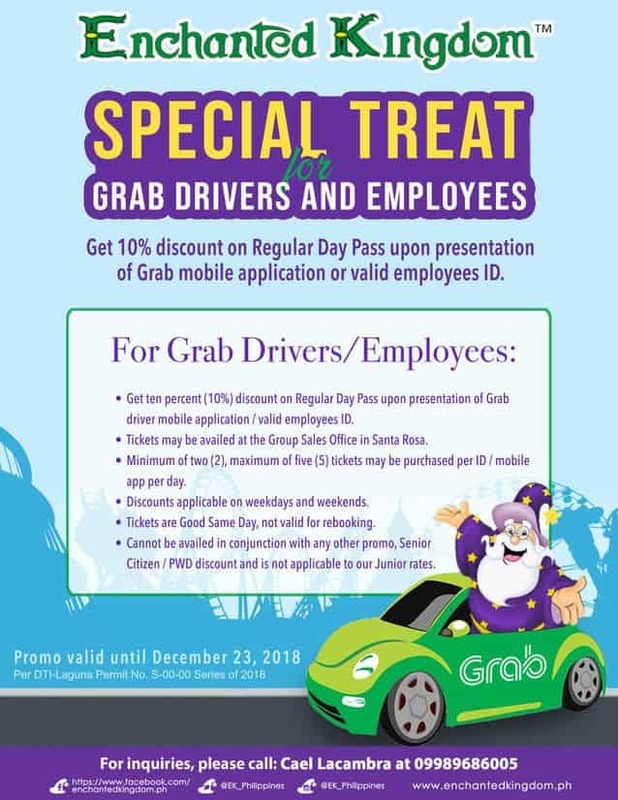 For Grab Peers/Operator they must present a copy of their OR/CR, Driver’s License and Screenshot of Grab driver phone app.